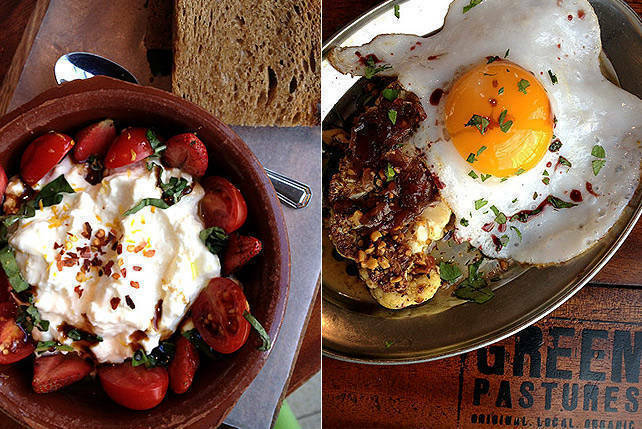 SPOT.ph blogger Angelo Comsti lets you in on his top chocolate haunts. 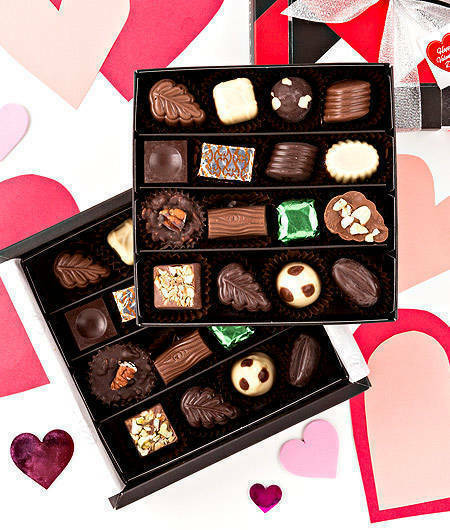 (SPOT.ph) The war between chocolates and flowers is something that haunts men every Valentine’s Day. Though flowers-especially roses-are supposedly cliché, a beautiful bouquet is still a popular option as women believe it to be more romantic, personal, and lasting. Or so I thought. I asked some friends and their answers turned out to be varied, interesting and, well, revealing. Either chocolates are giving flowers a run for their money or most of my friends are just chocoholics. I can't blame them for preferring sweets over flowers because the former are obviously indulgent and satisfying, with a distinct flavor and texture no other food can provide. Imagine it: leave a piece of chocolate in your mouth and let it linger for a while. As it begins to melt, you're rewarded with a rich and bold flavor that stimulates the whole body and places you in an incomparable state of bliss. Hmmm. So, chocolates for Valentine's Day? Here are a few tips on where to get the best. Cocoa Monster may be a relatively new player in local retail, but its main brand, TP Food Processing Corporation, has been exporting cocoa across the U.S., Canada. and Europe since 1983. 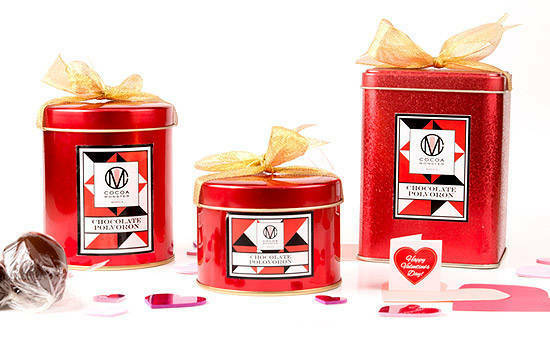 Last year, the long-running family business decided to extend their line and come up with commercial products, which include tablea, Dutch pressed cocoa powder, chocolate fondue, and boxed chocolates. Made mostly with cacao from Davao, Cocoa Monster has a range of flavors infused in their truffles, like orange, peanut butter, mint, cornflakes, rice crispies, and dried mango. 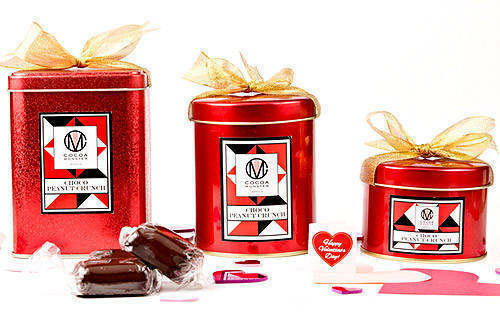 For Valentine's, Cocoa Monster has come up with Heart-shaped Lollipops (P25) with variants made with milk and dark chocolate. It is dusted with a special edible powder for a metallic red look. For smaller bites, they have Chocolate-coated Polvoron (P180/six pieces, P280/12 pieces, P480/24 pieces) and Chocolate-coated Peanut Crunch (same price as polvoron). 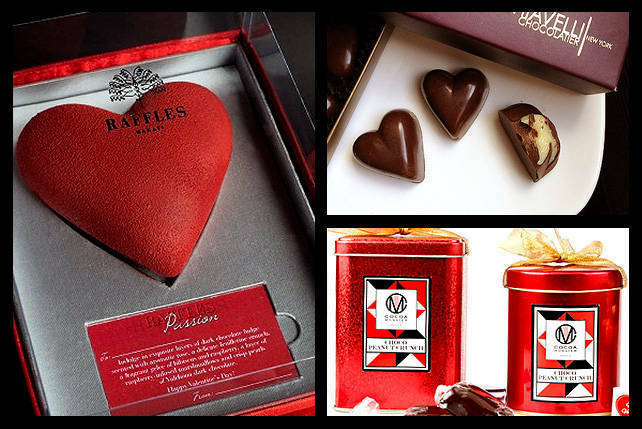 They’re also making their premium chocolates available in boxes of 16 (P320) and 32 (P640). For orders, call Cocoa Monster at 975-0879, 0917-676-5540, 0922-873-6638. Pick-up locations are in Ortigas Center or at their factory in Bicutan, Taguig. 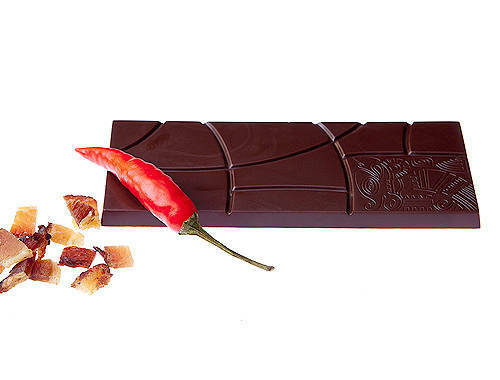 Raul Matias was among the very first chocolatiers to make a mark in the local scene. 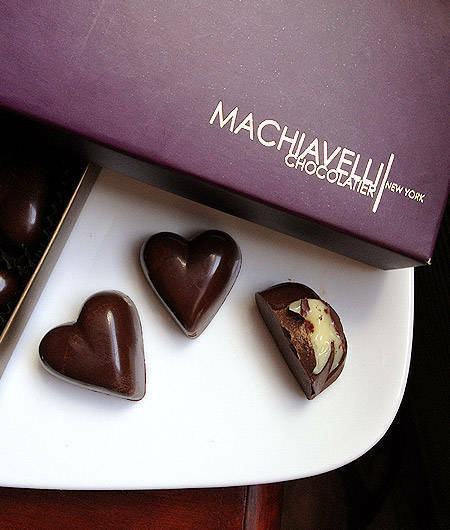 His brand, Machiavelli Chocolatier, is a by-product of his long-standing love affair with chocolates-an affair that started when he was a five-year-old eating Nestle Crunch for breakfast. Matias traded his career as a physical therapist to train and study chocolate-making in the U.S. and Canada. In 2009, he finally launched his company, starting with bite-sized beauties highlighting Eurasian flavors like purple yam, jackfruit, and the Filipino delicacy yema. 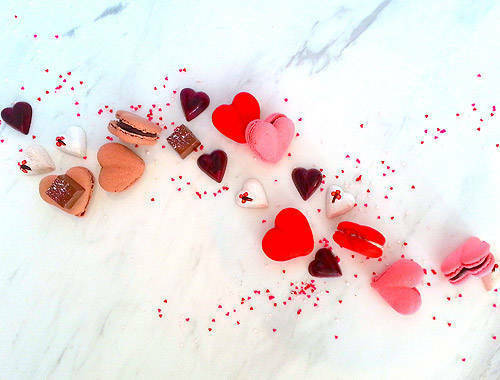 In time for love month, Raul came up with two heart-shaped confections-the Lambanog Praline and the Coconut Macaroon Praline (both P55/piece). The latter hides a suprise smooth paste that lends a unique texture from the desiccated coconut, while the former, which he created because he claims that "nakakalasing ang pag-ibig," teases you with heady flavor of lambanog without being too harsh and bitter. 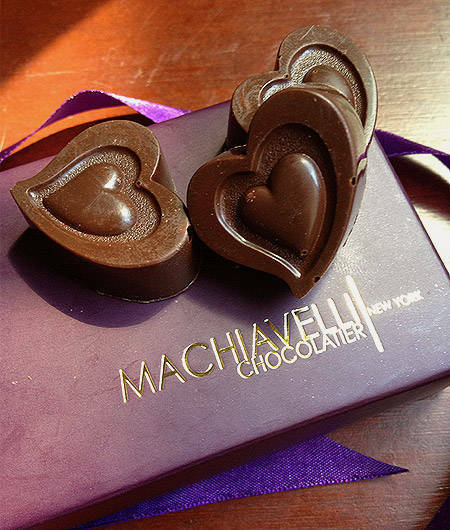 Machiavelli Chocolatier is available at Rustan's Makati in Glorietta 4 and Rustan's Tower at the Shangri-la Plaza Mall. 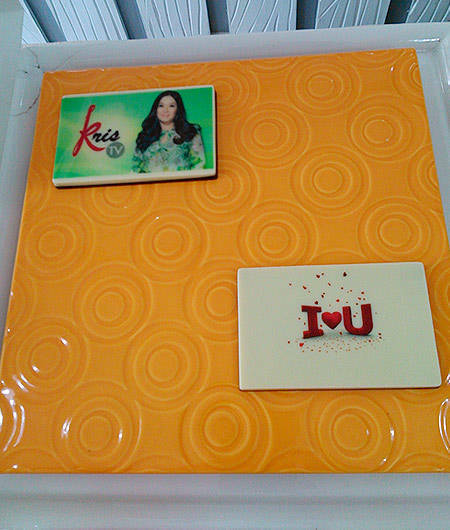 For orders, call 990-3146, 483-9854, 0916-297-8729. Pam Lim-Cinco, the chocolatier behind Risa Chocolates, confesses that everything started out merely as a stress reliever. "I would make chocolates to forget my exhaustion." She would always end up making so many that even her family would pass them up, forcing her to give them away to friends. Her friends, however, started asking for more. Things then fell into place. She took a leap of faith and went for it. In 2012, Risa Chocolate, the once home-based business became official and now, it’s among the more prominent chocolate brands in the local market. 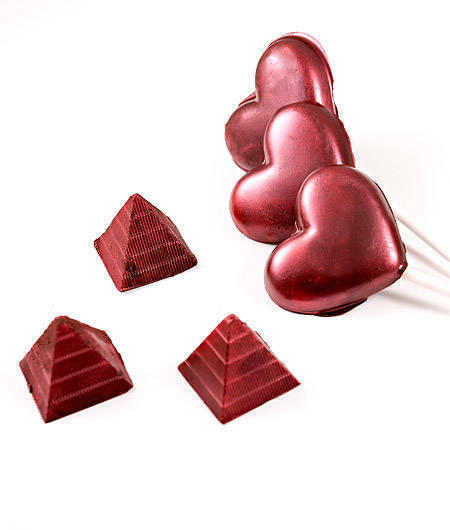 Apart from their bestselling pralines (the Tiramisu, Salted Caramel, and Crispy Hazelnut are my favorites) and truffles (Don't miss the Cookie Dough), Risa has a Bacon Chili Chocolate (P130) that can spice up your Valentine's Day. It's the result of a healthy collaboration between her brand, Mr. Delicious (bacon) and VL Farms (chili pepper). For a more personalized gift, they have customized Chocolate Cards/Pictures (P80 to P100) made with Belgian white and dark chocolate that make for literally sweet messages. Orders for the cards need to be placed two days in advance..
For orders, call Risa Chocolates at 0917-565-7185 or e-mail at chocolates@risa.ph. Delivery is free for orders P1,000 and above. You can also drop by the Risa Chocolate Kitchen at the Somascan Building, CRM Avenue, BF Almanza, Las Piñas City; open from 9 a.m. to 6 p.m. (Monday to Saturday). From the makers of Don Papa Rum, Queso de Bola Macarons, and the Pistachio and Honey-Glazed Doussants comes another dessert that showcases culinary ingenuity and a flair for matching and balancing flavors. 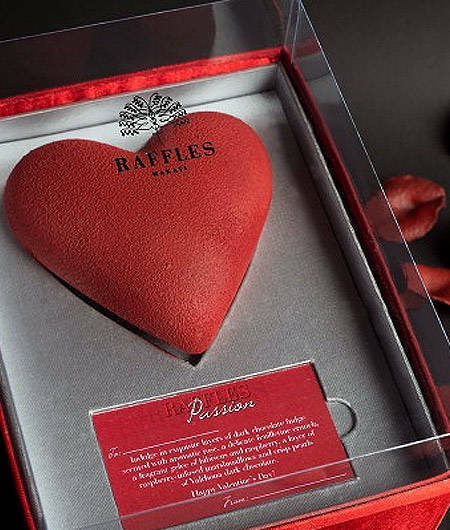 The Raffles Passion is a luscious chocolate heart that hides layers of dark chocolate fudge scented with aromatic rose, and embellished with a delicate feuilletine crunch, a fragrant gelee of hibiscus and raspberry, raspberry marshmallow, and pearls of Valrhona dark chocolate. Lovingly crafted by the talented pastry chefs at Fairmont Hotel, this chocolate treat will surely sweep your loved one off his/her feet.